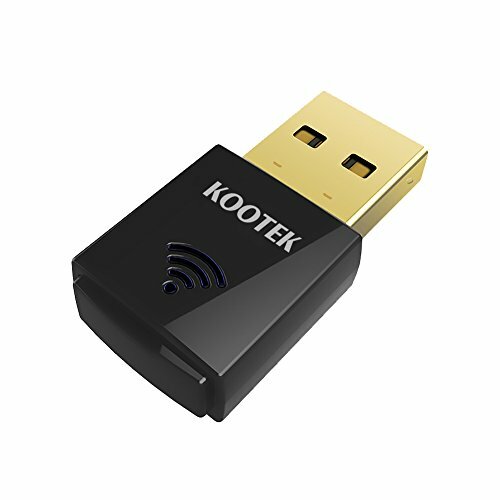 Kootek dual band usb wifi adapter compatible with the IEEE 802.11ac/n/g/b/a standards and has high transmission rate up to 433 Mbps under IEEE802.11ac 5GHz and 150Mbps under IEEE802.11n/g/b/a 2.4GHz. Compatible with Windows XP / Vista / 7 / 8 / 8.1 / 10 ( 32 / 64bits ); Mac OSX 10.6 - 10.12. Easy to install: Plug in the wifi adapter to connect to your wifi with the client mode. If your computer failed to identify it, please select the appropriate driver from the CD and install it. If you have any questions about this product by Kootek, contact us by completing and submitting the form below. If you are looking for a specif part number, please include it with your message.